Airport and Courthouse security personnel are always on the lookout for threat items. 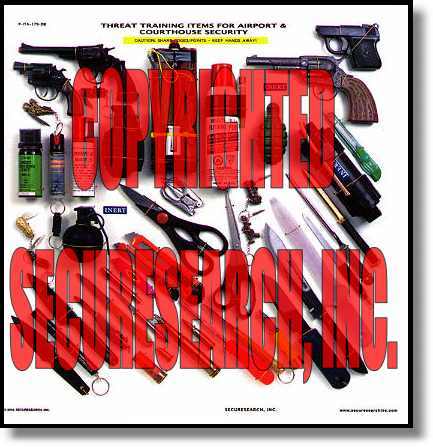 This security poster illustrates some typical examples of such items. This Security Poster of Yugoslavian Special Electronic Fuzes illustrates the booby traps and initiators, USS-T light sensitive fuse, UEPZh breakwire fuse, special electronic fuses and their technical specifications.